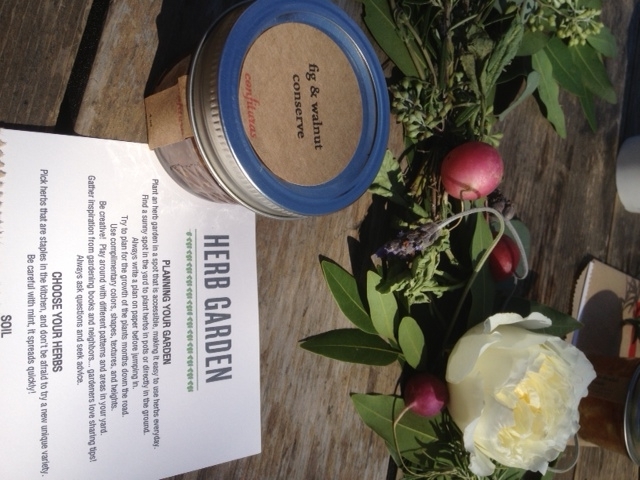 Last weekend I participated in a herb garden fundraiser sponsored by The WellGro Co. at Contigo restaurant. 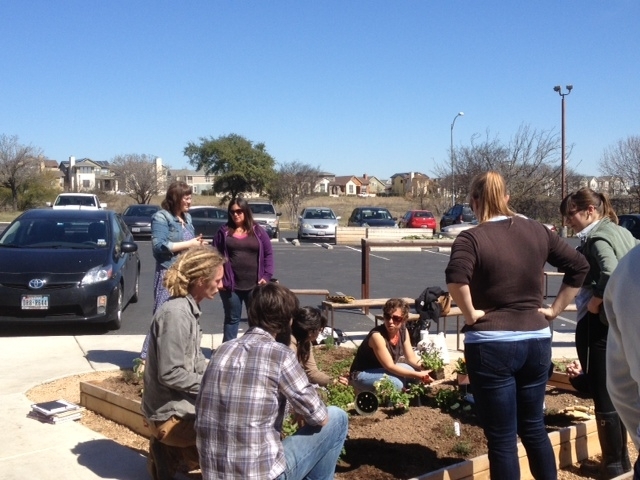 The event raised funds to build a garden at Travis High School. The WellGro Co. is a local non-profit organization run by Ed and Kerri Hughey committed to bringing real food back into schools. Ed and Kerri were moved into action by the childhood obesity epidemic and wanted to support organizations that drive change and make a positive impact. The WellGro Co. holds several events throughout the year as well as offers products on their website to help raise funds to support those organizations. This event in particular spoke to me because I was raised on processed food, often receiving free or reduced lunches at school. I think that is why I am so obsessed with homemade, fresh, healthy food now. I’m not always perfect, but I’ve learned to balance. Kids on low-income meal plans often do not have a choice as to what they eat. A hot dog and chips are easier and cheaper than organic chicken and vegetables. How can we expect children to choose to eat healthy if they have never been exposed or have access to real food? 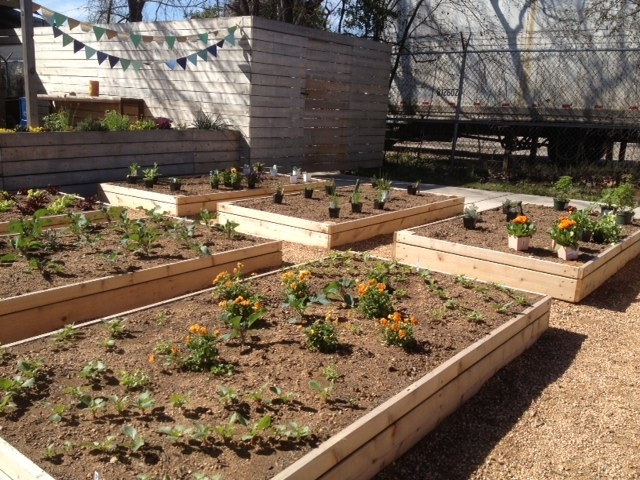 The Travis High School garden will provide an organic learning environment for the culinary students. They will have a chance to forge a relationship with their food and also educate others (friends, family, etc) on the importance of eating something other than fast food. 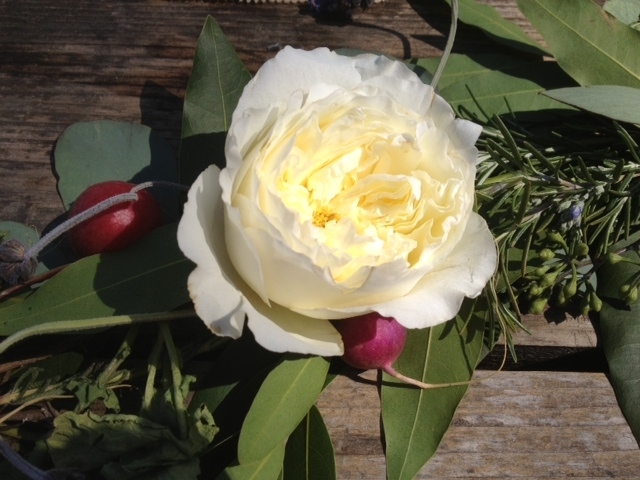 The herb workshop was taught by Sam Thorp of Johnson’s Backyard Garden. He shared his tips and tricks for successful planting and maintenance. I plant herbs every year and use them all through the spring and summer. I definitely learned a few new things! 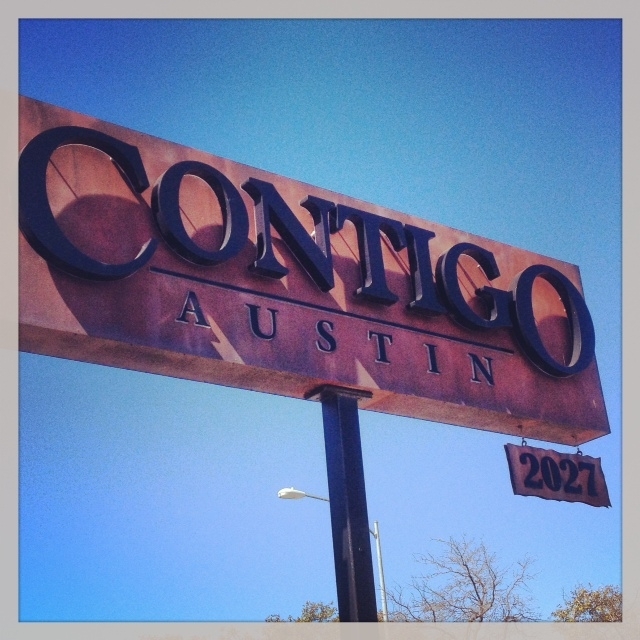 During the workshop we planted herbs in Contigo’s garden which will be used at the restaurant. 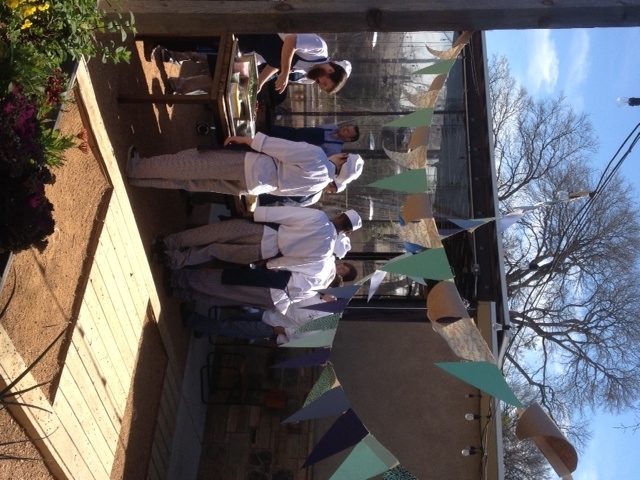 After the workshop we had a great lunch prepared by the Travis High School culinary students. Can’t beat fresh arugula, sausages, and potato salad! Perfect food on a gorgeous day! I had a great time and met some inspiring people in the food community. Check out some great photos of the event on Chris Perez’s website: MetropoChris. For more garden inspiration check out Lorin Baum’s company Texas Roots. And support your local food community!